Human Rights Action (HRA) strongly condemns the multiple attacks on Igor Tomkić and his family from Berane, Montenegro, which were very likely motivated by his Croatian nationality. The first attack happened on 18 March 2019, when two young men allegedly beat Tomkić in his store, causing him a fracture of the nasal bone. These two men were detained for approximately to 30 days. Only ten days later, on 28 March at 2:00 am, the family store was burned in an arson attack. Mr. Tomkić stated that he had suffered abuse from his fellow citizens for some time prior to the attacks. He alleges that the police was informed of the abuse, but did not intervene in order to protect him. HRA urges the Police and the State Prosecutor’s Office to make every effort to identify all those responsible who carried out attacks, to carefully investigate the motives behind these violent acts, and to ensure the prosecution and appropriate penalties in accordance with the law. 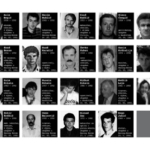 HRA insists that the state must not repeat the same mistakes made in the case of Rizo Alković and his family, by failing to effectively investigate and punish racist attacks against them in Podgorica in 2009. We recall that in December 2017 the European Court of Human Rights found that Montenegro violated the European Convention on Human Rights due to failure to protect Alković’s right to psychological integrity (Arts. 8 and 14 of the Convention). In particular, the European Court found that the racist motivation of violence against Alković, a Roma Muslim, was not adequately investigated and that the police and state prosecution did not provide an adequate investigation of all the attacks and threats against him and his family, as for example, an incident of a firearm discharge toward his terrace. The investigation in this case was left without results, the case had become time-barred, the domestic court incomprehensibly declined competence over the work of the police and the European Court of Human Rights concluded that Montenegro’s omissions in the application of criminal justice mechanisms were defective to such an extent that they represent a violation of state obligations under Articles 8 and 14 of the Convention. Alković and family left Montenegro and currently live in Belgium. Montenegro has sufficient legal framework to punish such abominable social phenomena, starting with the Constitution which prohibits provocation and incitement to hatred on any ground, through the Criminal Code prescribing adequate criminal offences and more severe punishment for hate-motivated crimes. It remains for the competent state authorities to ensure that all that is adequately applied in practice, in accordance with international human rights standards. 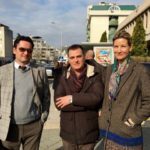 9/5/2018 WHY WAS JOURNALIST OLIVERA LAKIĆ SHOT AT IN MONTENEGRO?